The new season of the computer chess championship TCEC (Thoresen Chess Engines Competition) will happen from February 7th at Komodo, Houdini, Stockfish, Rybka, Shredder, Gull, along with more 36 chess engines. The Zurich Chess Challenge 2014 witnessed the first encounter between the newly crowned World Champion, Norway’s Magnus Carlsen, and India’s Viswanathan Anand, the former title holder. 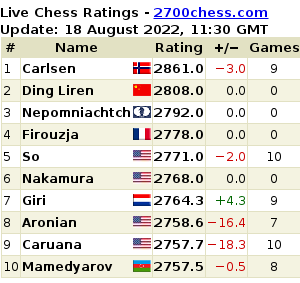 They competed along with the four other great chess stars: Levon Aronian (Armenia), Hikaru Nakamura (USA), Fabiano Caruana (Italy) and Boris Gelfand (Israel). The first round of Zurich Chess Challenge saw two continuous wins with Magnus Carlsen’s victory against Boris Gelfand in an unbelievably strategic queenless middlegame, and the win of Levon Aronian who played against Vishy Anand after 73 moves in an ending with a knight against two pawns. Levon Aronian who was winning the Tata Steel tournament till date with 8/11 points and was ahead with a half clear of Anish Giri and Sergey Karjakin. It is time again to get amazed by the 2014 edition Gibraltar Chess Congress.